As we have planned before we left to Sulawesi to get as tight schedule as possible in order to meet as much coffee farmers as we can, the three of us finally pushed to reach Baraka Subdistrict area just in the dawn hours. It was totally dark when the rented car stop in muddy land and the tire slip before brake was tightened on the side of gravel road, I could not recognize anything until my feet was directed to small path toward small wooden two stories house, a typical Bugis housing. I was totally tired and start to fall aslept after feeling the freeze air, which I belived the area located around 1000 meter above the sea level. The sun is shining between the branch of orchid flowers in the fence of second level verandah that morning. Finally Ibu, later being introduce as older sister of Mr. Muzakir, invited us for some indeed extraordinary breakfast I ever had in my life. 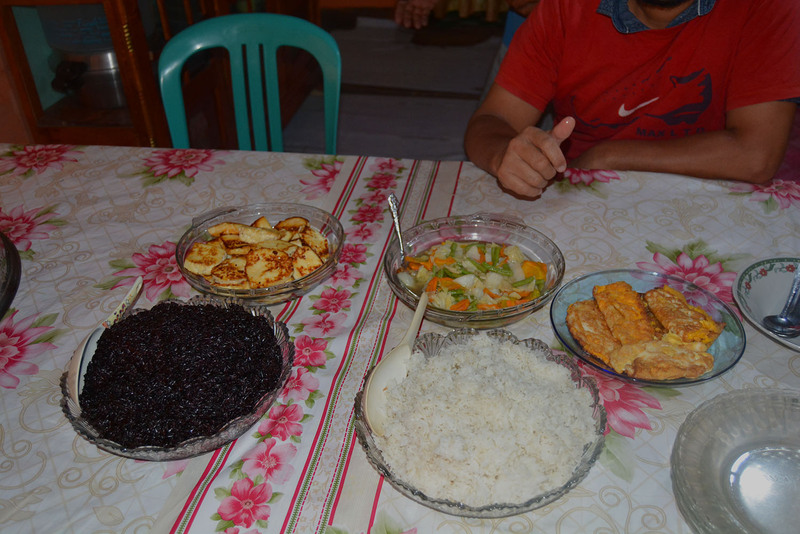 On the table we found two choices of rice served, black sticky rice on the left side and that famous “pulu’ mandoti” red rice on the right, while a famous typical “dange” or localy made cream stick on the corner of the dining table. The black rice is a local land race of rice that farmers in the higher area used to cultivate. It can only be cultivated once a year. Compared to the conventional cultivar of commercial rice, black rice cannot beat the productivity aspect. But black rice is cultivated as identity of the farmers and dwellers in several hamlets in the sloop of Latimojong mountainous areas. 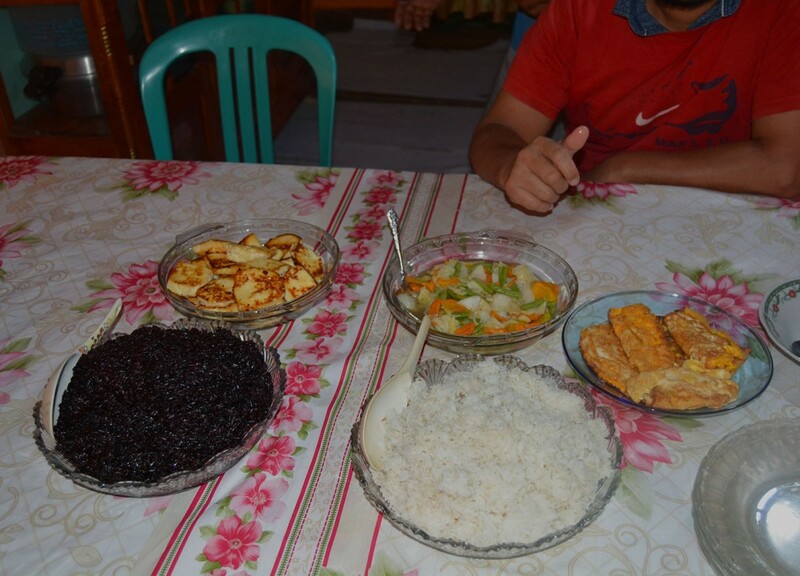 It is a symbol of respect to guest who visit their house when black rice is served on the table. Guest will feel an honor when they eat black rice produced in the local areas. While “pulu’ mandoti” today is ranked as the most expensive rice in Indonesia. When “pulu’ mandoti” rice is steamed, it will give the aroma of vanilla to all the room inside the house before goes from the door to the neigbouring houses. Today all over Indonesia not any other aromatic varieties of rice can beat the aroma of famous “pulu’ mandoti”. It is true that expedition we have now is about coffee, but we always find that coffee production should be seen as an integrated context of livelihood of the coffee farmers, including their cultural aspects. For us their way of managing their livelihood is just amazing, because more than just managing their rice selfsufiencies they are able to conserve the land race rice seeds. Without being cultivated on farm, local land race varietes can get into extinction very soon as we have seen in many part of Indonesia. Many farmers in Indonesia has losted their local varieties after cultivating green revolution rice type and abandoning their own inherited rice cultivar. A coffee farmer in Baraka Sub distrik of Enrekang serves their best local rice variety for our breakfast. 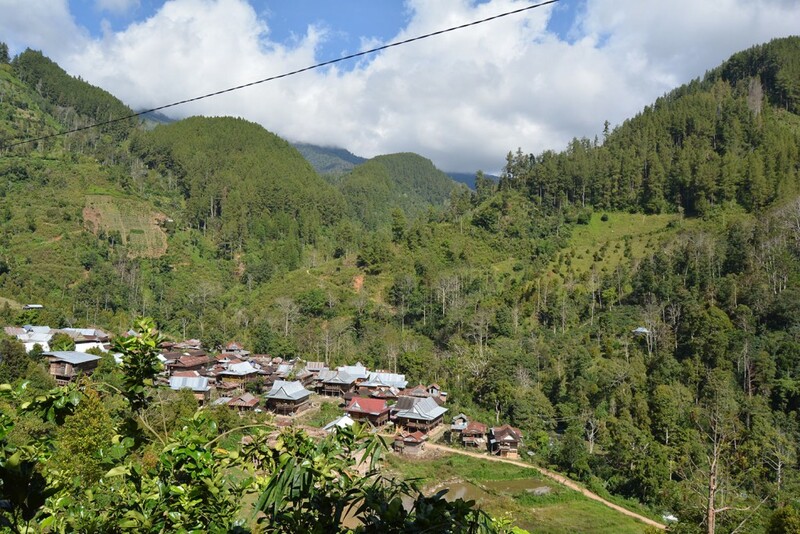 We see the head of Latimojong village on our way to the coffee plantation. We have some light talk till he shared information that he order all the head of hamlet in his village to assemble with us for a coffee training sharing. We are really very much anthusiastic to hear this information and ride our truck leaving the hamlet roads to the plantation zone. From our truck what we see is just the tree of coffee in the sloop of the hills. Never before I see such a vast cultivation of coffee in the sloop of high mountainous area. I used to see coffee being cultivated in more flat areas such as in Java island. We come to Latimojong area right during the harvest season of arabica coffee. All our way we have to stop several times to meet the farmers in their farm to have some talks. All their face was happy loughing while talking with their buddys picking up each red cherries skillfully underneath the coffee trees. We found this year, harvest is too good to be true as farmer testify that due to very good production they do not have enough workers to help and none will be able to help because each family already very busy with their own harvest. Good coffee production is influenced by several factors such as fertility of the soils and good climatic seasons during the coffee flowering time. When the rain fall heavily during the flowering time, it will deteriorate development of beans. 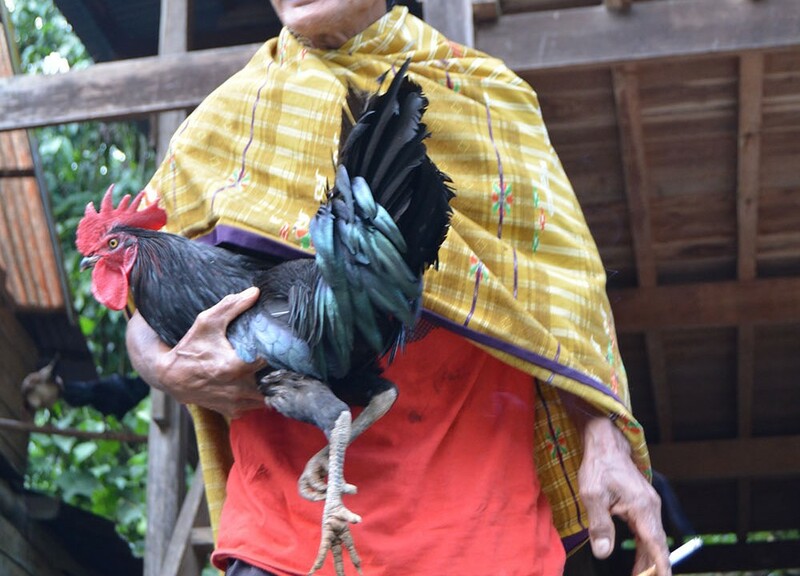 Farmers in Latimojong village realize that living in remote in the hilly area has to be well self organized, particularly for their source of income. They manage to make several source of income realizing that coffee harvest will come once a year. Some of farmers cultivate a type of peppers between rows of coffee tree in their farm, while some farmers raise goats. For them, in order to make house and send kids to school they need coffee, but for daily expenditure they secure it from other farming wheter it is goat rasing, rice productions or pepper and clove plantations. We reached Latimojong hamlet right by the noon with many coffee farmers waiting for our arrival. We are very ashamed to have these humble farmers pospone their work for harvesting due their group meeting with us. 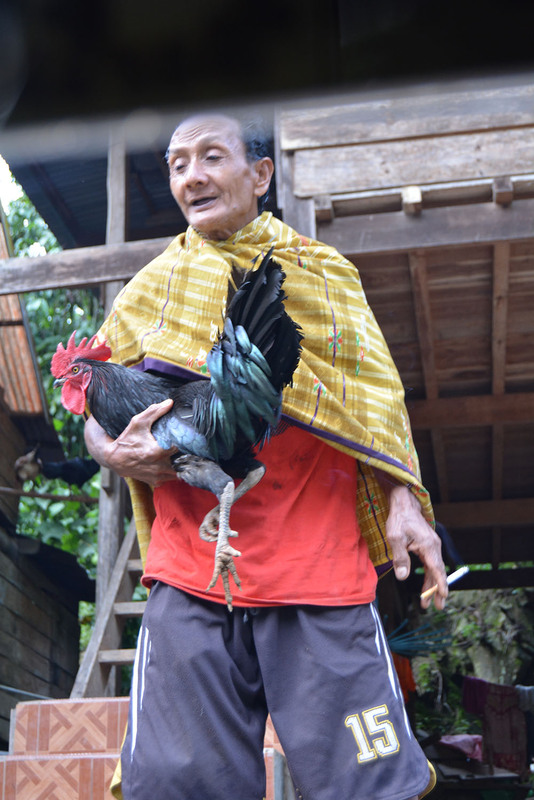 Typical of local coffee farmer play with his rooster chicken after finishing his hardwork of picking coffee during the big harvest day. The crowd of farmers assembling over the floor start to keep into silence as we start our talk about report of Rumah Kopi Ranin after brewing their coffee for several years. Their face start to smile after we said that their coffee is one of the favourite choice of our customers. We inform that for every single cup we brew we always mention the name of their hamlet, some of customer also question about varieties of coffee and location of the farm. Being coffee farmer for generation in the center of coffee production does not guarantee if their daily breakfast sip their own best coffee. 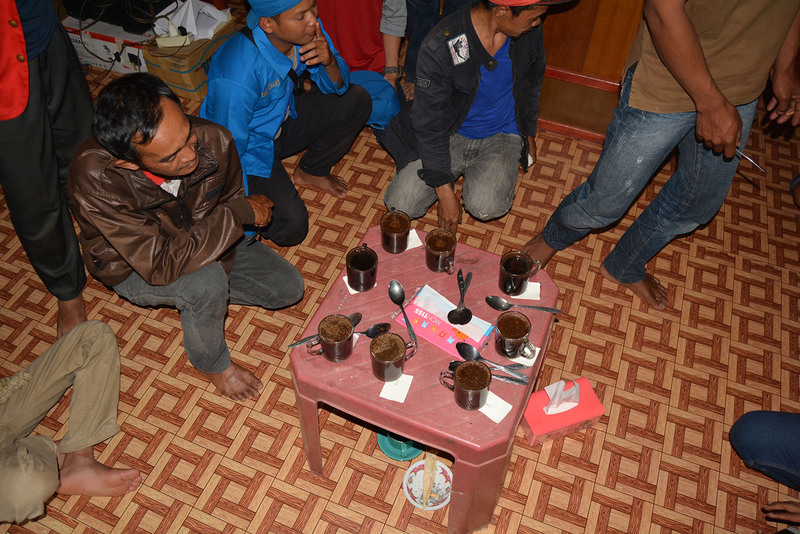 During the coffee cupping they testify that most of farmer daily coffee drink the sacheted coffee from the shop near by. They even did not know who produce that coffee and does not have question wheter that brand use their production as source of beans. Best beans from Latimojong has travelled to Europe, Japan and North Amerika, unfortunately farmers has been forgotten on how to do cupping. 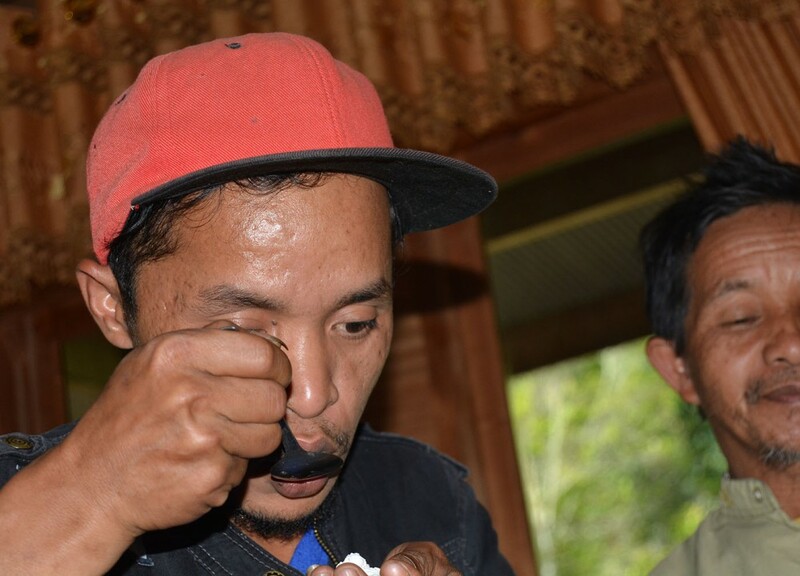 Farmers dared to report after sipping some cups that most of the cup have sweetness on some degree with some mild bitterness, but one cup taste very bitter as they found in their daily breakfast coffee. The farmers start to reflect that coffee will have spectrum of taste when it roasted in medium profile, and not too dark and each single origin will produce specific aroma. 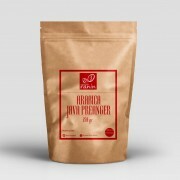 We inform them that coffee is valued by its taste and aroma, therefore if farmers want to bargain their production for the better price, they have to prove if through its taste. Surely taste will be reflecting the way they manage their coffee plantation to way they process the beans. Once they know about the quality from its taste, then it will help to direct coffee farmers to meet the correct buyers. 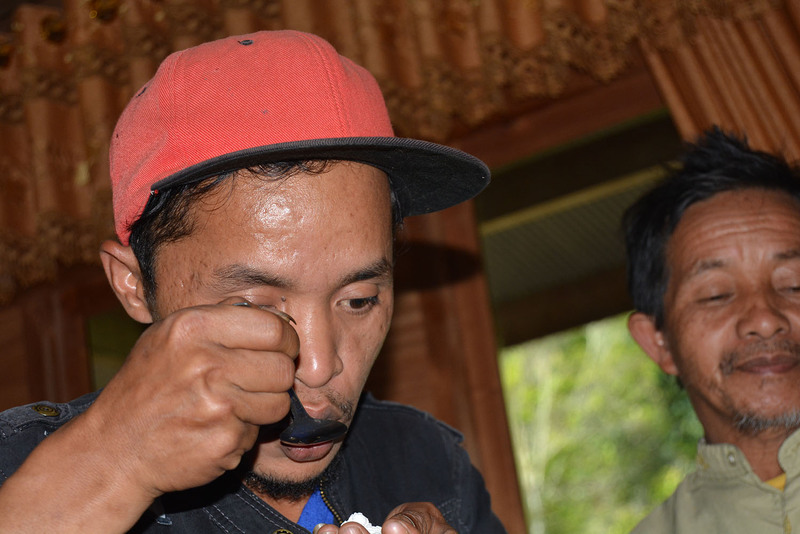 Experiencing of tasting various single origin from other places is important for farmer.